Occasional musings // I'm on Dayre! Here's an occasional musing if anyone's interested to read about my life! I've just joined dayre so I try to update about my daily life, as though I'm keeping a diary. Occasionally you can find funny snippets of blogger events behind-the-scenes and some boring parts in my daily lifestyle haha. So if you're interested, please follow me on Dayre! (@chiamhuiy). Anyway, I think I'm a little late to jump on the #Dayre bandwagon because I'm always a very late tech adopter hahaha. When Dayre first came out, I couldn't figure out how to use it and neither do I have the time to update every single day! Not sure how I got onto this bandwagon but anyhoo, I'm on! I've also started doing food tastings quite often these days because I've found the man who loves exploring food as much as I do. Since I've found my partner-in-crime, I mean why not! However, my position is a little different from all food bloggers out there. I don't have the best food photos, the largest vocabulary to describe the food and the strictest tastebuds to decipher the ingredients and spices in the food; I am only trying to describe in simplest words I can find and at the end of the day, tell you whether the food is worth a try! Read my review on the Halia and McGettigans. There's also another website that I might introduce you is this coupon website. They actually have quite of discount codes on their site, including shopping sites like Zalora and travel packages Expedia. I'm also hoping to take more outfit shots and welcome more sponsors and collaborations. Instagram can be a little boring with too many beauty products flatlays, don't you agree? ;) Fashion brands in Singapore looking for collaborations, do hit me up! I'm not missing out on tech reviews either! 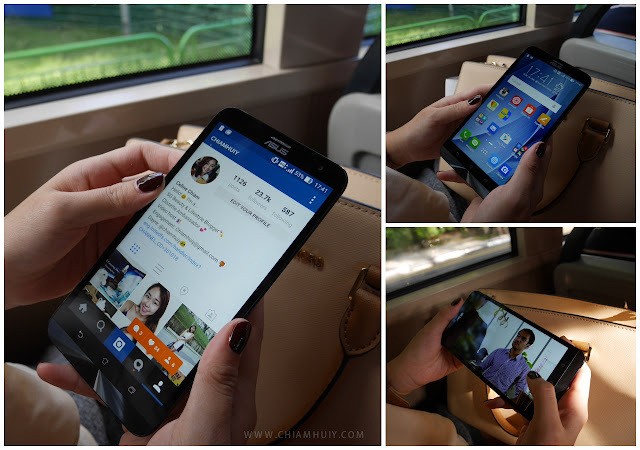 Here's a review on ASUS Zenfone Laser. I guess that pretty much summarises my life for the past few months. A new job, a new relationship and everything is still manageable and acceptable. There are of course ups and downs but I guess they're just inevitable. Alrighty, if you wanna know more about my daily musings more often, do follow me on Dayre/Instagram (@chiamhuiy)!